My name is Neelabh Tewari. I recently moved to Nagpur for my first job and in no time I fell in love with the greenness of this city, along with every fresh breath of air. But as familiarity breeds contempt, I also found a few things that were pretty irksome, first being the roadside garbage. Plus whenever i went out with my friends, if I had to throw some garbage, I couldn't find a single dustbin, and it inevitably went in my pockets. So one day i decided that I will start this drive through which the citizens of Nagpur will be made aware of this problem and probably contribute to the solution too. This drive would be called Dustbin Plantation Drive. But before starting this, I did some research. I found out what kind of dustbin would be needed, how much a single piece of dustbin would cost including the transport charges and labour charges. 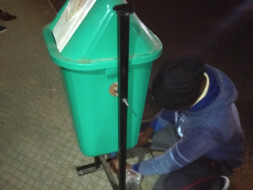 A single dustbin costed 700 bucks including the labour and transport costs. 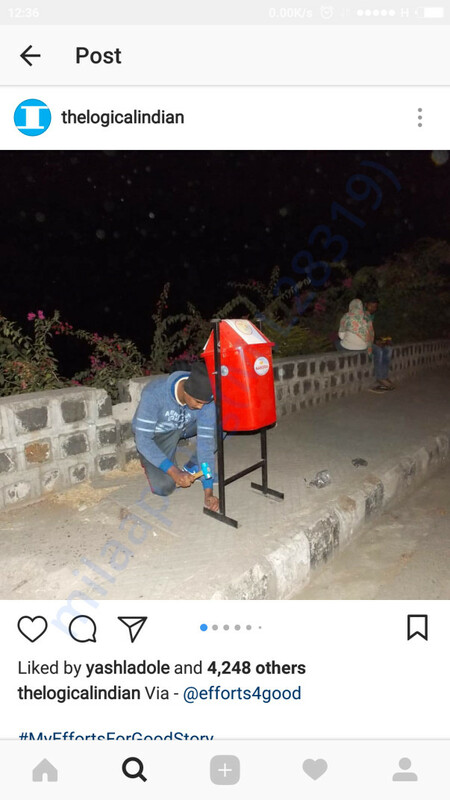 Post the research, I decide to set a working example, and with the help of a friend, we planted 11 such dustbin, in one of the most go-to places in Nagpur, Futala Lake. We also got appreciation for this from the general public there, the municipality, and even the hawkers. And guess what, the NMC decided to contribute and will make sure that these dustbins are cleaned every day. And now comes the 'Drive' part. Our next objective is to plant 50 dustbins around the city. And these 50 dustbins will be your dustbins not anyone else's. The slogan of our drive would be, plant your own dustbin. Suppose you paid us 700 bucks, so when we would plant your dustbin, we will stick a page, or write down on the dustbin, "Nageena's dustbin". And we would also tell you where your dustbin has been planted. This way, your donation to the city's betterment will be visible.